Whenever a new version of the iOS is released, iPhone, iPod touch, and iPad owners rush to install it so their devices can get all the new features, bug fixes, and improvements that come with a new operating system. Rushing isn't always wise, though. Sometimes, like in the case of the iPhone 3G and iOS 4, it pays to research other people's experiences before you upgrade so that you don't have any problems. In this article, you can learn about the problems that iPhone 3G owners had with iOS 4, plus all of the features that iOS 4 delivered to Apple devices, and much more. 1The iPhone 3G does not support FaceTime, Game Center, multitasking, and home screen wallpapers. If your device is not on this list, it can't run iOS 4. What's notable about this is that both the original iPhone and 1st gen. iPod touch are missing from the list. This was the first instance in which Apple dropped support for previous models when releasing a new version of the iOS. That became common practice for a few versions, but by iOS 9 and 10, support for older models became extensive. Apple released 11 updates to iOS 4. With the release of iOS 4.2.1, support was dropped for the iPhone 3G and 2nd gen. iPod touch. All other versions of the OS supported the other models in the table above. Notable feature additions in later releases included 4.1, which introduced Game Center, and 4.2.5, which delivered the Personal Hotspot feature to iPhones used on the Verizon network. IOS 4 was also notable because it was the first version of the software to carry the "iOS" name. Prior to this, Apple had only referred to the software as the "iPhone OS." That name change has been maintained ever since and has since been applied to other Apple products: Mac OS X became macOS, and the company has also released watchOS for the Apple Watch and tvOS for the Apple TV. Find text on page in Safari. While iOS 4 technically can be run on the iPhone 3G, many users who installed the upgrade on that device had negative experiences. 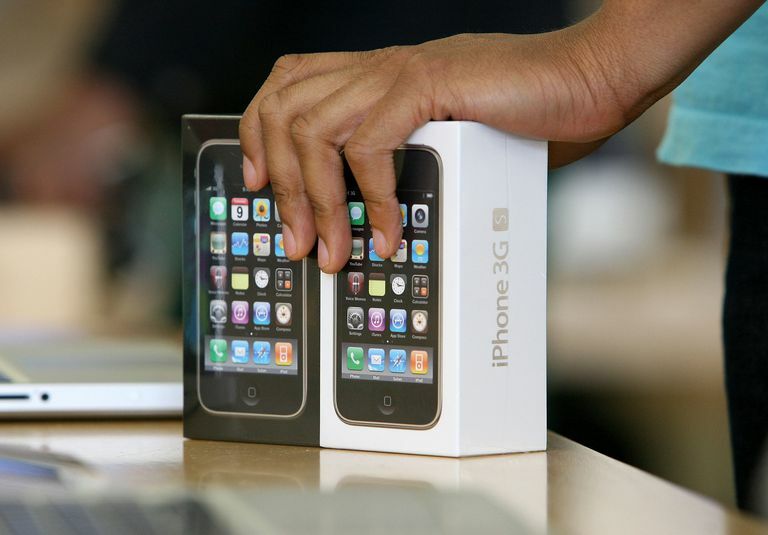 In addition to the unsupported features mentioned earlier, iPhone 3G owners ran into problems with iOS 4 including slow performance and excessive battery drain. The problems were initially so bad that many observers counseled users not to upgrade their iPhone 3G phones and a lawsuit was even filed. Ultimately Apple released updates to the OS that improved performance on the iPhone 3G. iOS 5 was released on Oct. 12, 2011.